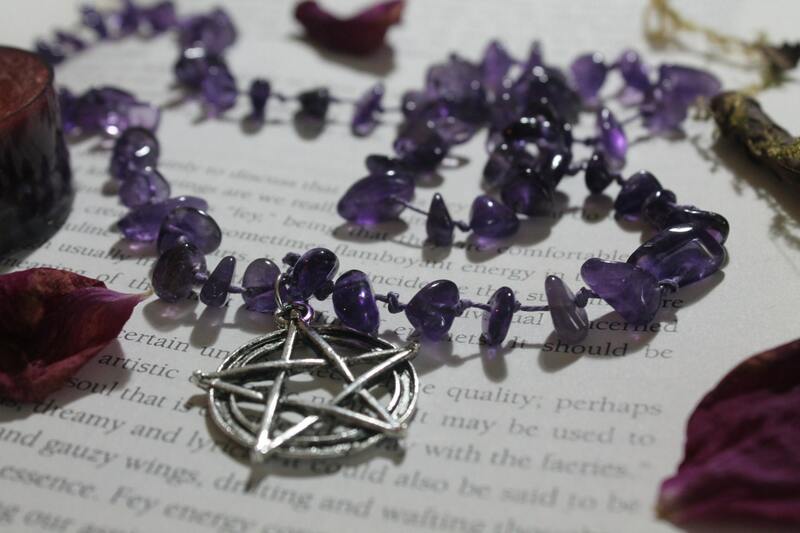 Amethyst beads on purple hemp cord with Pentacle charm. 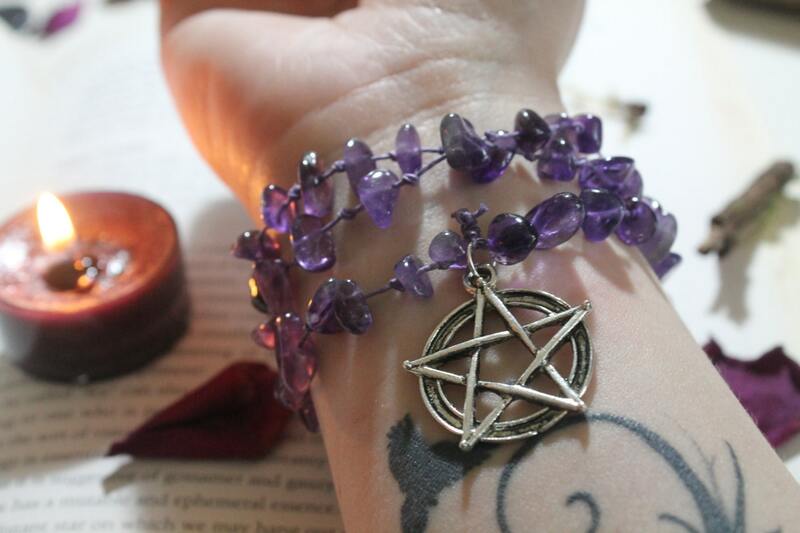 This necklace can also be worn as a bracelet. 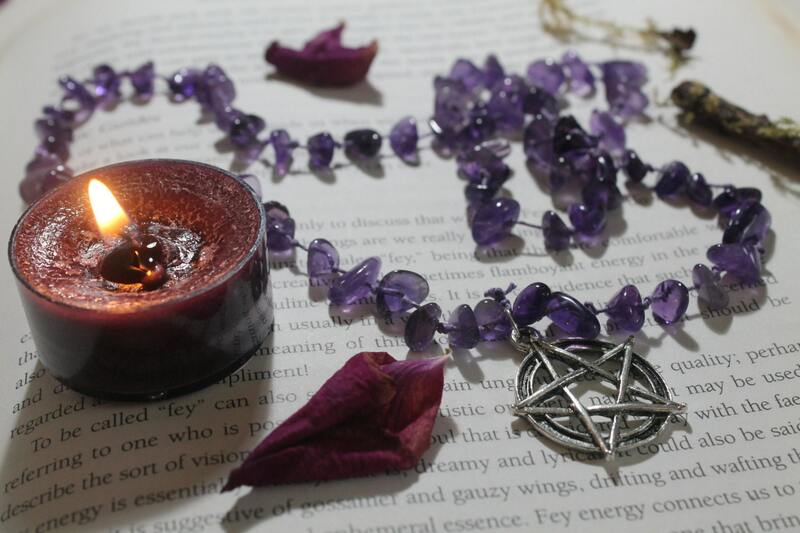 The pentagram is a protective sign. It is NOT a sign of the devil as some believe. It represents the five elements, earth, air, fire, water and spirit. These elements contribute to life and is a part of each of us. 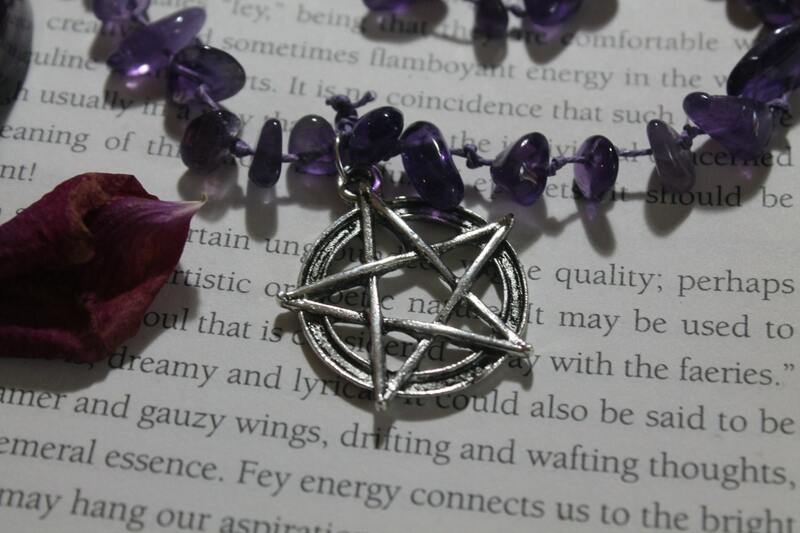 To wear jewellery with a pentagram, is to say you feel the connection with the elements and respect the earth. 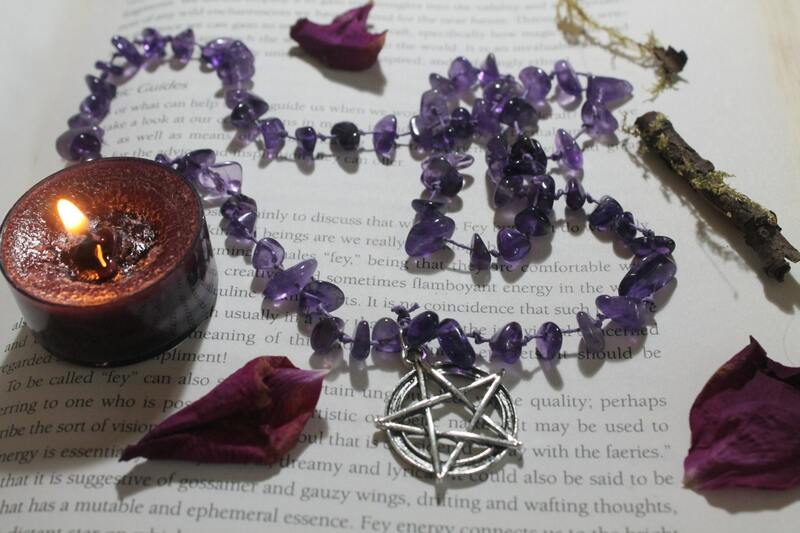 Necklace measures approx. 64cm and silver tone charm approx. 3.7cm.